Launching in stores July 6, this new palette is filled with 20 new shades. The bright colours are just as fantastical as the movie, and the packaging was made to match. 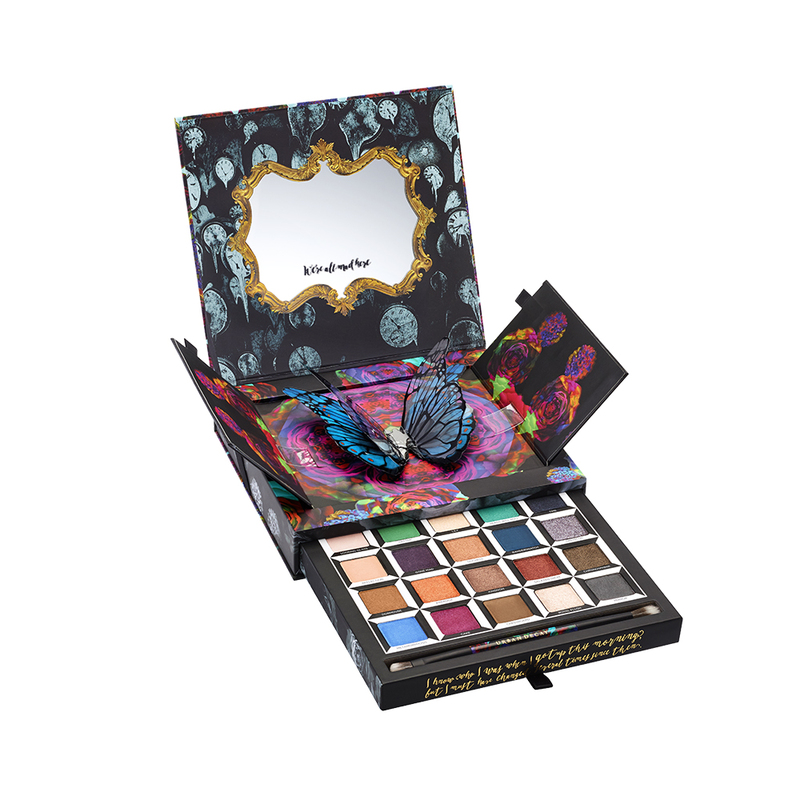 Open up the box and you are greeted with a 3D butterfly; while the eyeshadows are tucked in a drawer. Another beautiful collector’s item from the brand. Because you can never have too many eyeshadows; even if you just want to keep them in the box so you can admire the shades. If you don’t own any eyeshadow palettes, this might be a good investment. Almost half of the shades are easy-to-wear nudes and browns and greys, which you can also blend with the out-there pinks and oranges for a bolder look. But judging by the tonality of the colours, this palette would be most suitable for those with warmer skin tones.